What color is it? It appears to be more gray than black. BEST ANSWER: The color is black. It's not a reddish black, dark gray, or blueish black, it's black black.. The unit has a bit of wood grain (may be plastic, looks like wood) so in pictures that grain likely reflects some light. In person the actual wood grain isn't very obvious. For a good size black box it looks nice. The chamfered edges help with the appearance. I purchased four of the units around the middle of October. They arrived very well packed, double boxed, in perfect condition, and have worked flawlessly. Four subs this size aren't really required, but I have the room so why not. Its black not grey at all. If they could offer a version with a rustic finish (Restoration Hardware look) that would be killer ... if anyone is listening there are high quality cheap "rustic look" laminates from Italy that some companies (Barker modern) use to make rustic kitchen cabinets - its just high quality synthetic but would be very "current" if a sub was offered in such a finish... higher wife acceptance factor.... but it sounds great and looks fine (big and black). 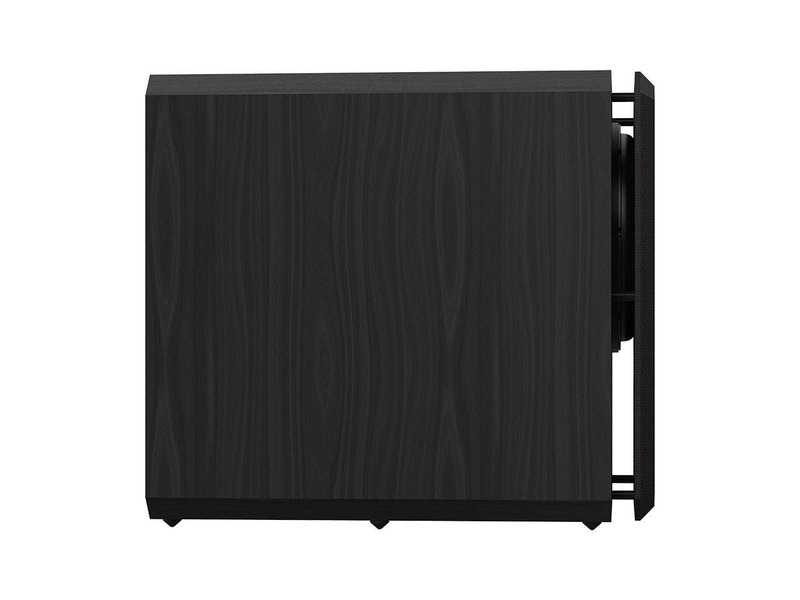 Finish of the Monoprice 12" THX Ultra Certified 500 watt subwoofer is satin black with attractive wood grain texture. The speaker surface is non reflective and blends well with earth toned furniture and speaker finishes. It's black. Not quite matte, but not glossy in any way. It's meant to look like a black Ash color, and matches the speakers in have with actual black Ash veneers quite nicely. This is what I would term piano black. It is BLACK with the grain pattern showing through. It is not GLOSS black. Color rendering on video screens can vary widely. It is black. 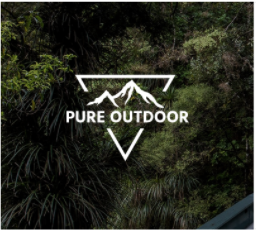 There is a wood grain finish which you can see from only a close distance. The sub is black. The grain pattern in veneer makes appear grey in picture. It is definitely black. I was very pleased with the look of this sub. It’s black. It’s got a wood grain texture, but it’s pure black. BEST ANSWER: Refer to the measurements given at the bottom of each product listings. The 12" model has much more output than the 10" model. The goal in buying a subwoofer is the getting the most low-distortion output. The details of the amplifier, etc., are interesting, but not really relative to the purchase decision. Because they use the same amplifier. 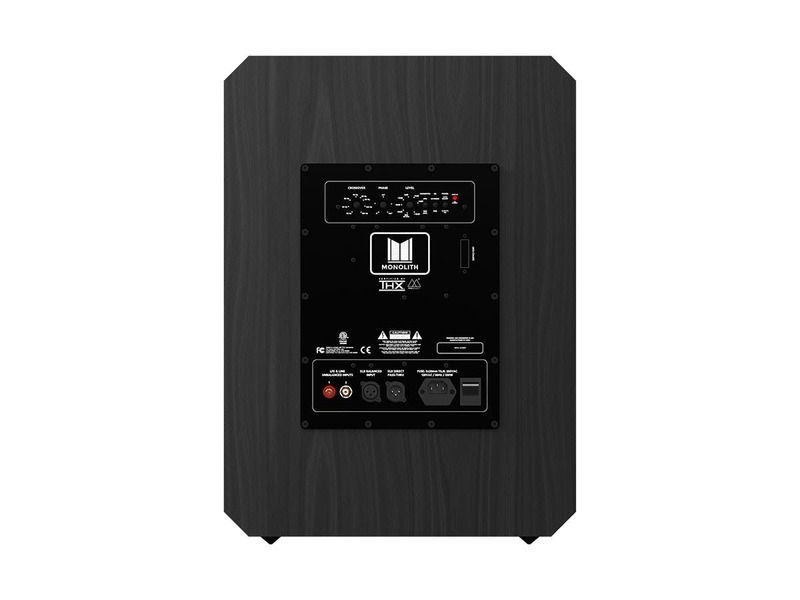 At the same power the larger woofer still has more displacement, which means lower response and more output. I don't think you will notice the difference,,, if you have a small room get the 10 inch! The 12" is big and extremely heavy!! 500 watts is plenty to drive whatever woofer you want. The 10 will not have the output of the 12 even with same power rating. Can you please provide specifications in terms of power requirements for a North American household? I'd like to run 2 of these in my home theater currently under construction and want to know if I can run them both on the same dedicated 15 A circuit... or if I need to run them both on a dedicated 20 A circuit. Thanks! BEST ANSWER: I'm an E..E. for whatever that's worth. The units likely will run fine on a 15A circuit. However, a 20A circuit will only cost a little extra for the wire (you'll need #12 instead of #14 Romex) and nothing extra for the breaker or the outlet. A 20A 120V outlet will take either a 20A or 15A plug. There will be less voltage drop in the circuit with larger wire and you'll not wonder over the years if you should have spent another $25 and gotten a larger circuit. 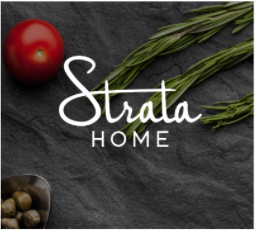 If the electrical service panel isn't very far away from the new room, and there are spaces in the panel for extra breakers, then it doesn't cost much extra to run extra circuits, or higher capacity circuits when you are building a room. It will cost a lot more to add circuits in the future. 15A will likely work. During the construction phase changing to a 20A circuit will only add a little cost for the wire (go to #12 from #14). The circuit breaker and the outlet will cost the same. The 20A outlet will support both 15A or 20A plugs. It makes good sense to spend what should be $25 extra or so to go with the 20A circuit. I has a 20 amp circuit put in for this sub and a 12" SVS sub. Hello. I just looked at the manual and it appears the 10” goes lower than the 12 according to the manual. Is this correct? BEST ANSWER: The 12" subwoofer goes lower and plays louder, as a 12" should. 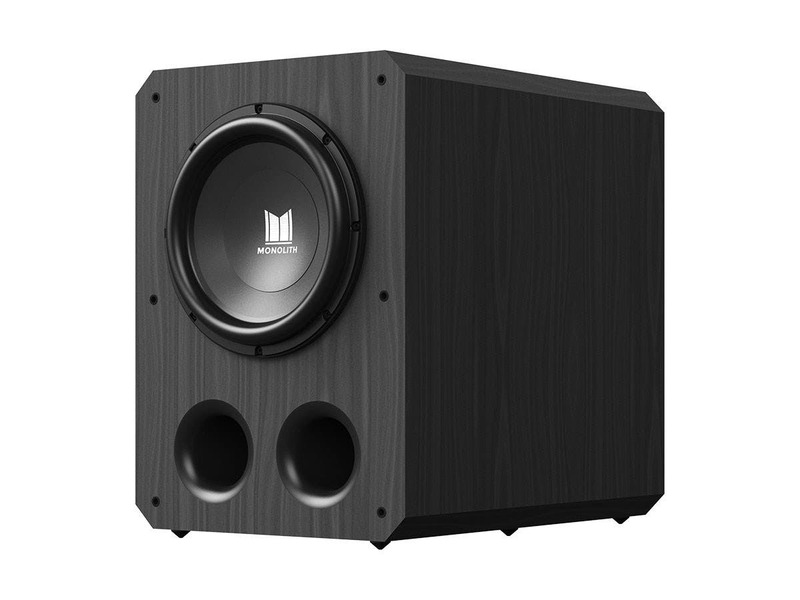 The Monolith 12" subwoofer has a 4 to 6 dB advantage over the 10" at 16Hz and 20Hz. 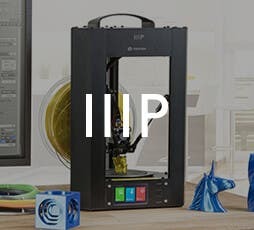 Go to the Monoprice webpage. 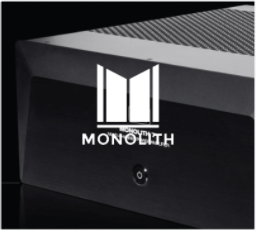 Go to the Monolith subwoofers. Access the 10" Monolith sub in one window, the 12" Monolith sub in another separate instance of your browser. Place the two windows side by side. Go to the bottom of each page. You will see the measurements of the two subs. You'll see that the 12" sub has more output than the 10" sub at all frequencies, ported and sealed. Refer to the measurements given at the bottom of each of the product listings. The 12" model has much more output than the 10" model at all frequencies and with all port configurations. 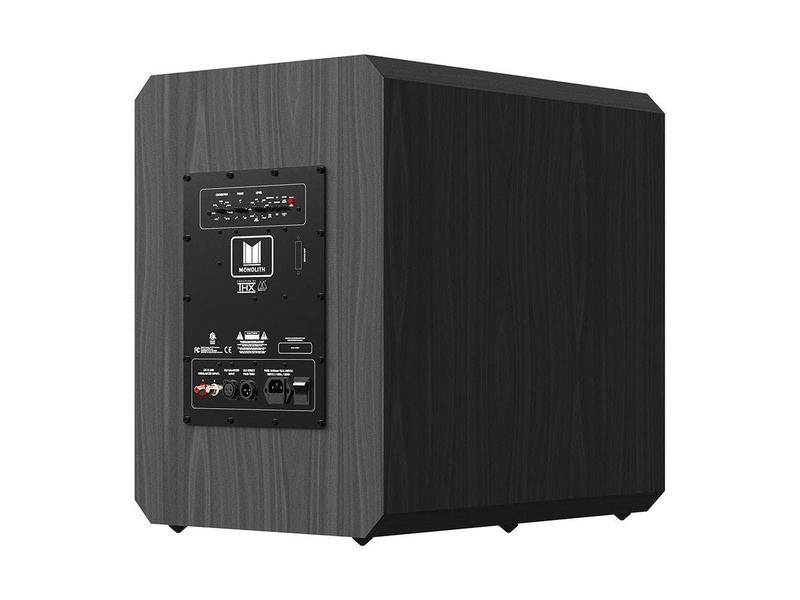 Will the subwoofer run on 220v electricity? I don’t think so my friend! Would this sub be enough for a 17x17 living room (not sealed)? Or should I get the 15 inch model instead? BEST ANSWER: The 12" will do just fine for that size room. 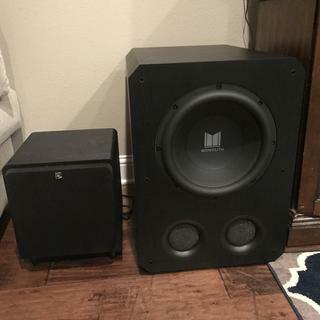 Can these sub woofers be positioned on their side for a lower profile? I have a large projection screen and plan on placing two subs up front. BEST ANSWER: Yes, you can lay the subwoofer on its side with no loss in performance. I'm just wondering if there are threaded inserts on the bottom of the sub for spikes etc? I'd be interested in adding the svs sounpath isolation feet. BEST ANSWER: Yes, there are threaded steel inserts. Can you tell me the size of the threaded inserts on the bottom of the sub? BEST ANSWER: M6-1.00 (course thread) 20-25mm long machine screws depending on your application. For feet, Reliable Hardware Company RH-1606-8-A Guitar Amplifier Cabinet feet (1-pack of 8) work fine. Are the feet removable? if so, are they the screw on type or adhesive? BEST ANSWER: The feet are removable, and they are screw on. Will these ever be available to buy again? Been waiting since late June and eta keeps getting pushed back? BEST ANSWER: Yes, these should be arriving in mid to late September. More photos? Especially with grill on? What is the total weight and dimensions of the box this comes in? I want to get an estimate from my freight forwarder to ship to Hawaii. Tight,deep,powerful are just a few adjectives that come to mind when listening to my sub. Paired with my Klipsch The Sixes, running through a Creatvie Labs sound blaster G6, I'm in 2.1 gaming desk heaven!!! Loving it!!! 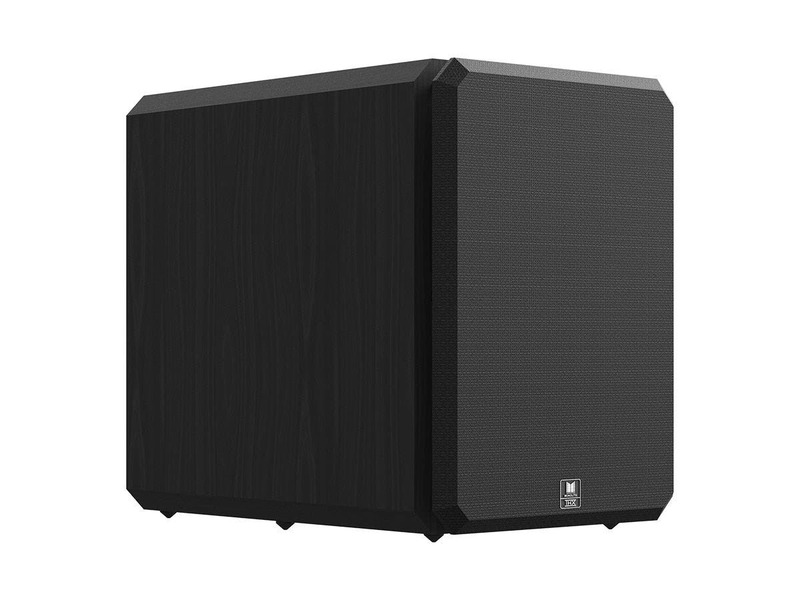 Excellent sound, and build quality with performance to rival and exceed similar models at double the price point (relative to my personal past experiences with other quality name brand subwoofers). Only Time will tell if the amplifier and speaker hold up to extended use and occasional abuse. Awesome sub for movies. Goes low, has some real slam to it. Not so great on music. It is a little slow and sounds a little bloated. Tried it with and without the foam plugs, it still did not sound right to me. Will use my Paradigm ultracube 10 for music and switch this one off. I’ve only had the Monolith 12 a couple days now. Loving it so far. Pretty much like most of the other reviews I’ve read, the bass is great, clean, and accurate. Glad I decided to get this sub. Once they have a sale on them I’ll be picking up a second one. Next to the Sunfire SDS-8 it replaced. Great value! It is taking a couple of weeks to break in, but it sounds amazing! The only thing I wish it had were speaker level in/outs so I could run my definitive tech bookshelf speakers through its crossover. Sounds great, goes deep and enhances music listening and movie watching. Effortless output at high volumes. Only real negative is the feet are not tall enough to allow fingers under for placing and fine adjustments. Size and weight are a drawback, but are known up front. I would consider a second to ensure even output throughout the room but I'm afraid that all of that bass will tear my pants off. and overall experience. AVS forums and their reviews helped to make this decision. I have four of these 12" subs. The all arrived well packed, double-boxed, with no damage. Likely I don't really need four subs, but having four subs has resulted in very even response throughout the room. The output is all that I could ask for, and likely much more output is available. The low bass is just "there." The subs don't call attention to themselves. If you want a low distortion sub with good output at a reasonable price it is hard to beat this unit. I'm running this with Revel Performa2 F206s and the sub is very, very, very clean. strikingly like the SVS line. We need to audition it to know the truth. Just make sure your rafters are nailed down.